Save 62% on the 12-Pack Women's Ribbed Tank Tops plus Free Shipping! Save 62% on the 12-Pack Women’s Ribbed Tank Tops plus Free Shipping! 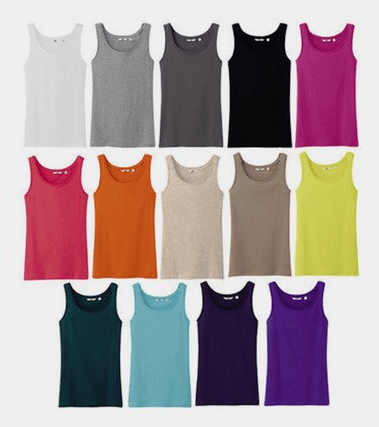 The 12-Pack Women's Ribbed Tank Tops – Assorted Colors is on sale for $28.99 at Tanga.com right now. That's 62% off the retail price of $49.99!